There are numerous laws, cases, and regulations to consider in analyzing whether your IRA can own an LLC (commonly referred to as an “IRA/LLC” or a “checkbook control IRA”). 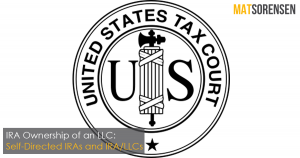 Despite the complexity of the law, your IRA can own 100% of the ownership interest of an LLC and you as the IRA owner may serve as the Manager of this LLC. 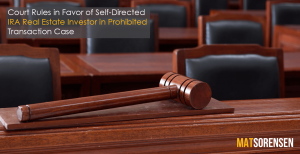 The recent case of Niemann v. Commissioner involves a successful real estate investor who unknowingly used his self-directed IRA-owned LLC (aka, checkbook control IRA) in a way that caused a prohibited transaction under IRC § 4975. 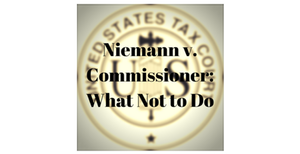 While the Tax Court’s holding and decision focused on other tax matters, the Court did outline the history of the case and the prohibited transactions that occurred and that disqualified Niemann’s IRA. Here are the pertinent facts regarding Niemann’s self-directed IRA investments. In Ellis v. Commissioner, a Federal Appeals Court recently held that an IRA owner engaged in a prohibited transaction when he paid himself compensation from his IRA/LLC. An IRA/LLC (aka, “checkbook control IRA”), is an LLC owned by an IRA and is used primarily by real estate investors who choose to have their self-directed IRAs own an interest in an LLC (usually 100%) and then this IRA/LLC, in turn, owns the real estate asset. The LLC will typically have a bank checking account and will receive income from the property and will be used to pay property expenses.